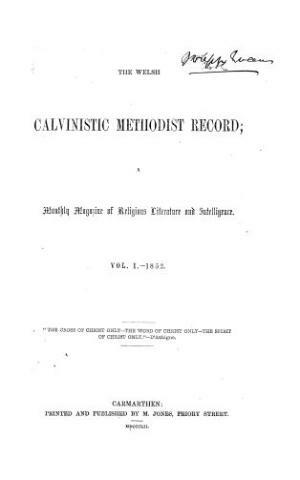 A monthly religious periodical serving the English churches of the Welsh Calvinistic Methodists in Wales and the border counties. The periodical's main contents were articles on religion and the church's missionary work, alongside denominational news. The periodical's editors were the ministers, David Charles (1812-1878), Owen Thomas (1812-1891), John Roberts (Minimus, 1808-1880) a William Howells (1818-1888).